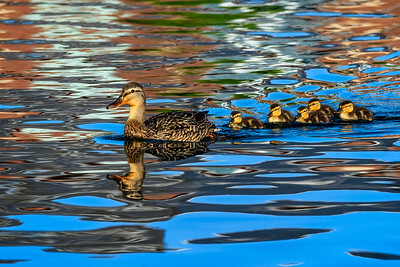 Wild creatures that live among us. 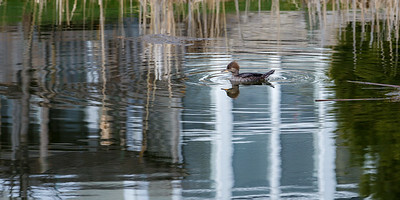 A female merganser swims through the reflection of a house on an urban pond. 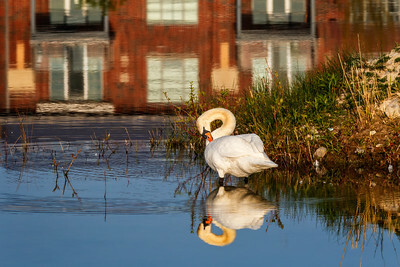 Mute swan cob returning to its nest through the reflection of the Shipyards condos. 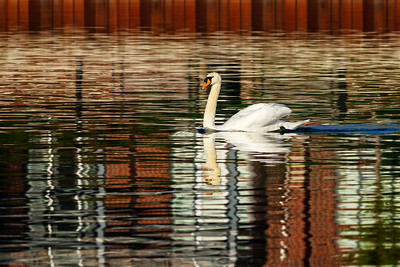 Mute swan cob near its nest in the reflection of the Admiral building. 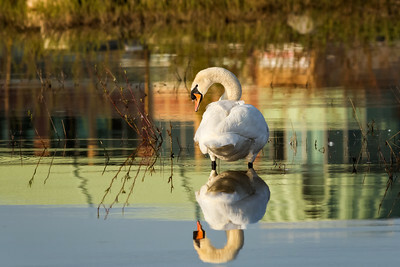 Mute swan cob preening near its nest in the reflection of the Shipyards condos. 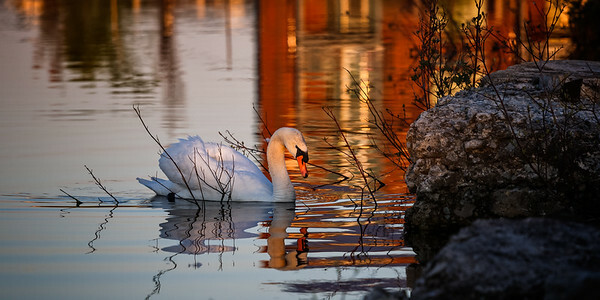 Mute swan cob preening near its nest in the reflection of the Admiral building. 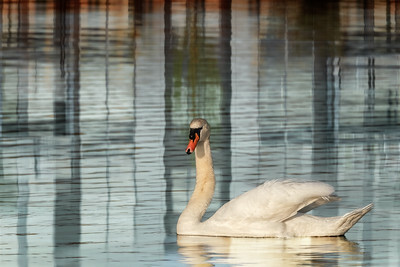 Mute swan cob feeding in the reflection of the Shipyards condos. 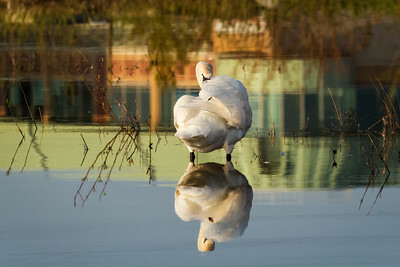 This Snowy Owl has been hanging out in a very busy industrial/commercial area of town. 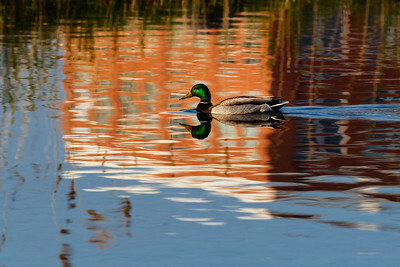 She doesn't have far to go though to hunt water fowl.